Looking for that perfect pre- or post-workout snack? Me too. If you are like me, you don’t want to immediately undo all the work you just put in by eating a high calorie snack after exercising. Problem is, I tend to be really hungry after working out. So, I put together a list of some low-cal, high protein snacks that will supply your body with muscle building proteins without packing on a bunch of unwanted calories. I also wanted to come up with a list that excludes protein shakes/bars/supplements. Those can be good, but for the sake of this article I am looking at food snacks (food food, you know what I mean). Everyone may have different numbers in mind, that’s ok. Just keep in mind that we are talking about snacks here. The foods we are eating between meals. Meals, for me anyway, always consist of more than 250 cal and are usually packing a lot more than 10g of protein. But once you start eating snacks that are over 300 calories, I think you need to have a conversation with yourself and see if you are getting to that point of no return… you know, sometimes you tell yourself you are going to have a handful of chips as a snack just to get you to lunch, next thing you know you just knocked out half a family size bag of ruffles and it’s only 11am. I think your snack just turned into lunch. No shame, it happens to me sometimes. Sometimes I get a little too aggressive with my snacking. I have had a bag of chips for lunch. I have had a handful of cookies for lunch. Not saying this is a good thing, but is it better to eat 600 cal of junk food, or to eat 600 cal or junk food and then another 500 cal of healthy lunch? I’m getting off the subject. Luckily, the snacks discussed here will be much healthier than a bag of chips, so if you do over-indulge, don’t beat yourself up over it. At least you made the effort to eat a healthy snack. You are on the right track, kudos to you! Snack Before Or After Exercising? Ah, the eternal debate. Should I eat something before I workout? Won’t I burn more fat if I exercise on an empty stomach? You can find arguments and research to support both. Let’s talk about eating something before working out first. A lot of folks believe you should always eat a little something before working out. This food will give your body the energy it needs to complete the workout. Without it, you may not have the energy to finish your wicked, full body circuit. Of course if you do eat something, you have to make sure you don’t start cramping up 15 min into your workout. If you do decide to eat something, what should you eat? Well, the snacks listed below will fall into this category, but you should look for foods that contain plenty of protein, but also some carbs to give you the energy you need to perform the exercise. The protein will ensure muscle tissue is maintained. The time of day you are working out will really be a factor in determining your eating routine. If you are working out in the afternoon, you may have had lunch a few hours ago, and a snack may not be necessary because your body is still processing the energy obtained during lunch. However, if you are exercising first thing in the morning, you may want to eat a snack beforehand to ensure you have the energy necessary. Most trainers recommend eating a health snack 2-3 hrs before exercise, but it really depends on what the snack is and what type of exercise you are doing (I know, there are so many “ifs” and “buts”). If you are eating a simple carb, maybe a piece of fruit or juice, your body will process it a lot faster than if you are eating a more complex carb like a bran muffin or whole wheat toast. The complex carbs will give you plenty of energy, but it will take longer to unlock it. The simple sugar will give you a more immediate burst of energy, but won’t last as long (neither of these examples provides much protein by the way). What if I exercise on an empty stomach? I feel like recently especially, we are seeing a lot of research in favor of skipping meals in the morning and exercising first thing in the morning without eating. The idea is, that if your stomach is empty, your body is going to have to start burning some of the stored fat for energy. Makes sense. They were talking about it on the Today Show a few weeks back. I think it really depends on how intense your workout is too. I couldn’t go run a 10k first thing in the morning without something in my stomach, I wouldn’t last (I probably couldn’t run a 10k after eating either, but that’s a whole other issue). A low or moderate intensity workout may be more doable without snacking first. If I’m working out for 30-45 min, I can probably survive on what’s left over in my body from last night’s dinner. Anything longer, and I may start dragging. What about strength training vs cardio? I don’t want to get to complicated here and I am by no means a nutritionist. Just consider this: the more cardio you are doing, the more carbs you should probably eat in your snacks (and meals). Yup, the cool appetizer at sushi restaurants. Turns out these young soy beans are a really healthy snack. 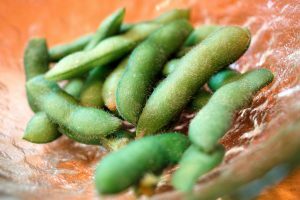 Just a heads up, most of the edamame in the U.S. is genetically modified, which should be avoided. Try to find organic or non-GMO edamame. Good luck. PS, on top of being low cal and high protein, this food is also high in fiber with 8g/serving! Lot of different kinds out there: beef, chicken, pork. Jerky is just dehydrated meat really, so it packs a ton of protein. 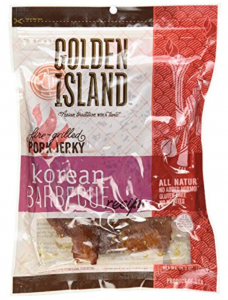 I’m fond of Golden Island Korean BBQ Pork Jerky, delicious and tender. I tend to eat about 2 oz at a time, so double the numbers below for a good snack. Delicious, portable, fun to eat snack. Also a good source of calcium. Again, I would eat 2 pieces for a more satisfying snack, so double these numbers. 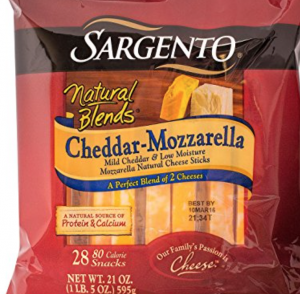 Sargento natural string cheese is my go to. Not everyone likes tuna, I’ll be honest I haven’t eaten it in awhile, but it definitely falls in the low cal, high protein category. 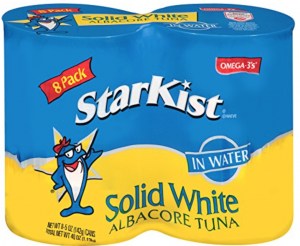 I used to eat the Starkist solid white albacore in water over Triscuits as a snack (or a meal sometimes). Just know that if you add mayo, you’re gonna add some extra calories. I love Greek yogurt. I used to eat a lot of normal yogurt back in college, I made the switch about 10 years ago or so and have never looked back. You know once that say, once you go Greek (yogurt), you never go back! 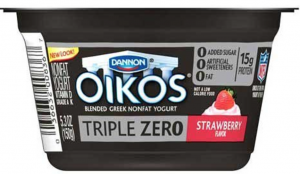 I prefer the Dannon Oikos Triple Zero Greek Yogurt: 0 added sugar, 0 artificial sweeteners, 0 g fat. I love boiled eggs too. When I was a kid, my favorite breakfast was a hard boiled egg sandwich. Yea, seriously. Kind of weird for a kid to like that maybe, but I sure did. Good thing about boiled eggs, you can boil a bunch at a time, keep em in the fridge and bring them out for a healthy snack whenever you want. I eat em 2 at a time, so double these numbers for a larger snack. The classic children’s favorite is actually a pretty healthy snack, especially before working out because it packs protein and carbs, giving you plenty of energy before a workout or helping those muscles recover afterwards. Crunchy or creamy? That’s up to you…but the correct answer is creamy. Eat it by the handful or add it to your yogurt to make a parfait. 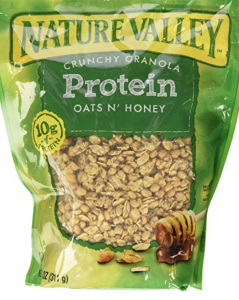 There are a ton of options out there, all made up of different ingredients, so the nutritional info here is an example of one brand of granola (Nature Valley Protein Oats ‘n Honey). So just check out the back of whatever brand you like, some have more protein than others. You could always make your own too if you are that good. I’m a big fan of deli meats. More than I should be, I know. I actually have taken myself off of the cured meats recently because I am trying to limit by total intake of meat and watch my sodium. 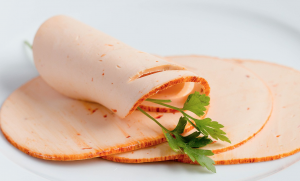 That said, sliced turkey can provide you a good source of protein without a lot of calories. Just know that it is high in sodium and bunch of other chemicals. My favorite is Boar’s Head Ovengold Roasted Turkey Breast. I could eat by the slice by itself, but feel free to wrap it around some cheese or sliced peppers to a make a festive roll. The numbers below are for Boar’s Head, I would eat at least 4 oz, so double the numbers below for my snacking. I gonna be real with you, I hate cottage cheese. I never eat it. I have tried numerous times to find a way to like this, but I can’t do it. It’s gross. If you like it, that’s good because it packs a lot of protein. 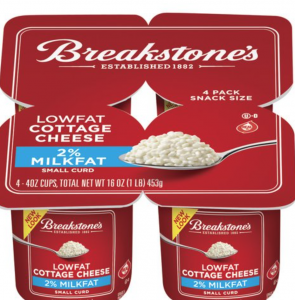 You can eat a cup of this stuff for only 220 cal and 26g of protein! That’s why I wanted to like it. Time To Start Snacking Smart! There ya have it. 10 low cal, high protein snacks that can easily be incorporated into your diet. Boiled eggs are the only one mentioned that needs to be cooked. See, how easy is that! Stock up the fridge or the pantry with a couple of these options and you will make smarter decisions with your snacking. Remember, we have to support our workouts with proper nutrition if we want to see the biggest results. Whether we are trying to bulk up, lose weight, or just stay fit proper eating is key. Getting enough protein will help you build and repair that muscle tissue. Getting enough carbs and healthy fats will give you the energy you need to blast through your workouts. Eat before or after your workout (or both), that’s up to you. Figure out what works for you and go with it. There is no right answer for everyone, we are all different and that is ok. I hope this post gave you some good ideas to help with your healthy snacking. If you have any other go to low cal/high protein snacks, please share with a comment. What Is The T25 Workout? Your Key To Fitness! What Is The Best Home Gym Machine? Very nice article. 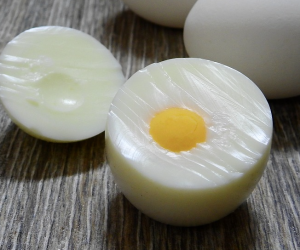 I love boiled eggs, but I only eat two of them in the morning. 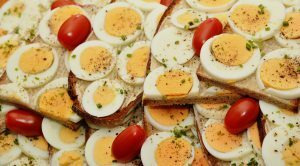 Eggs use to have a very bad reputation for increasing cholesterol but recent studies deny this. I have met people that eats 6 boiled eggs daily and have good health. yeah, I feel like they keep changing their mind on whether eggs are good for us or not. Same here, last I heard eggs didn’t really affect cholesterol levels as long as they are eaten in moderation. Helpful article and helpful snack ideas. As a person who has always been thin, your snack ideas will certainly prove to be useful, since I have started weight training and would love to get even more mass! Sounds great. Make sure you are adding some extra calories throughout the day. If any questions come up, let me know, I’d be glad to help. Hi Isabel, thanks for the comments. I agree with ya on the jerky and deli meat, very processed and full of chemicals. All though the pork jerky I mentioned is more all natural and less processed. 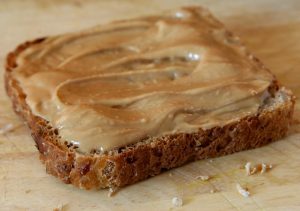 Almond butter is a good alternative, but doesn’t pack as much protein as peanut butter. My son is allergic to peanuts, so my house made the switch to almond butter 3 years ago- it’s ok, but I miss peanut butter I must admit. Sweet potatoes are great.